The Fastest Way to Lose Weight? Recently, I went to doctor and they needed a blood sample. A fasting blood sample. Normally this is done in the morning, so that you can have the blood taken soon after waking up. But, my appointment was pushed to 2pm, and I ended up having to skip breakfast and then lunch. I ended up not eating until 6pm that evening. Fasting is purposely avoiding food. And, there are many reasons why people do it…. Almost all major religions include fasting as a spiritual practice. Fasting is one of the five pillars of Islam, and Muslims spend the month of Ramadan fasting from sunrise to sunset to strengthen spiritual connection to God and to sympathize with the poor. In Judaism, Yom Kippur is the day of atonement that also includes fasting. Other major religions, like Christianity, also practice fasting as a way to deepen the spiritual connection with God. Others fast in protest, often called a “hunger strike.” Gandhi used hunger strikes throughout his involvement in India’s independence movement. Today, everyone from prisoners in California to immigration activists uses hunger strikes to protest injustice and draw attention to their cause. Outside the spiritual and activism realms, people typically fast for two reasons: to detoxify the body and to lose weight. Fasting varies from the intermittent fasting, which involves incorporating a fasting day into your weekly diet to juice fasting or “cleanses” to water fasting. Intermittent fasting has been shown effective in helping people lose weight. However, those effects may not last. As with many other fad diets, research suggests the weight loss may be temporary. 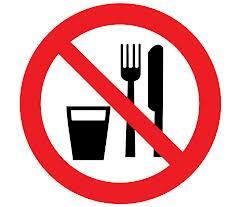 Water-only fasting means no food or liquids except water and can be very dangerous. Fasting may be the fastest way to lose weight, but it’s likely water weight, and it’s very likely to come right back once you stop fasting. Plus, some research suggests that repeated “quick-fix” weight loss, or yo-yo dieting, may cause slowed metabolism and increased risk for heart attacks. As for detoxifying, your kidneys and liver already do most of that every day. It’s their job. There is no evidence that fasting detoxifies the body any more than eating a healthy diet. Fasting may also lead to some unpleasant side effects like nutrient deficiency, fatigue, dizziness, constipation, dehydration, gallstones, and cold intolerance. On the flip side, other studies suggest that fasting may improve longevity. So….fasting makes you lose weight…but it may be temporary. Fasting makes you live longer. Wait; no it doesn’t…. With all this conflicting information, how can you decide if fasting is right for you? Here’s something else to consider: the psychology of fasting. Those of you who read my diet soda blog know where I’m headed. If you are fasting to lose weight, you may be psychologically setting yourself up for disaster. Because eating food is way more complicated than filling your body’s gas tank; it is a multi-sensory, social, psychological experience. This may explain research that shows a correlation between “perceived deprivation” of food and binge eating behavior. In other words, simply feeling deprived of food or the ability to eat what you want when you want can be enough to trigger overeating. Which may lead to the type of yo-yo dieting that is linked to increased health risks. And lastly, if you are considering a fast for health reasons, take a moment to think critically about the fasting industry, a growing part of the multi-billion dollar diet industry. Companies are making big bucks on your belief that you need to lose weight or cleanse your body. If you want to learn more about how fasting effects your body, bring it up at your next medical appointment at Campus Health Services. Or, if you want to talk to someone about your diet and weight, see our dietitian for a free consultation. During my day of fasting for my doctor’s appointment, I felt cranky, slow, and irritable, and I came home and ate three peanut butter sandwiches as soon as I could eat again. People fast for different reasons, and people have been fasting for spiritual reasons way before our modern culture created the diet industry. Fasting can be spiritually and emotionally enlightening. But fasting to “fix” your body? That’s not a message I want to feed. Previous Article Do I Really Need the “Morning-After” Pill?